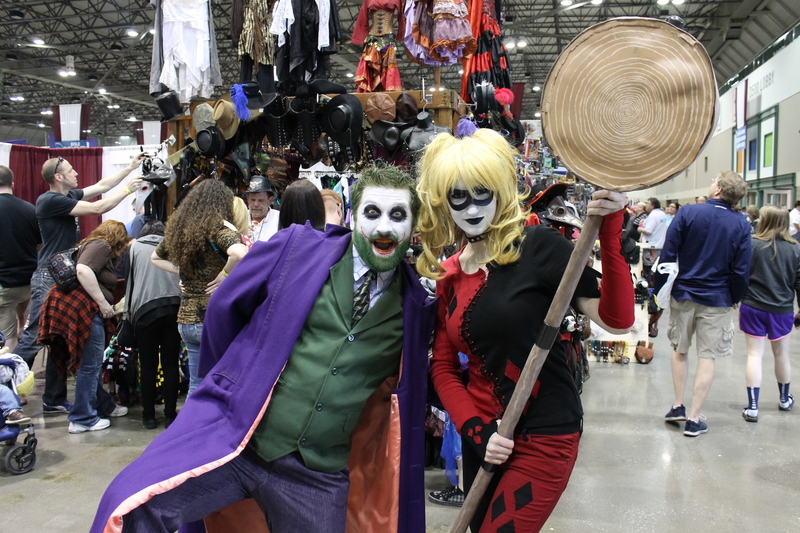 Kansas City’s Bartle Hall was home to numerous Harley Quinns, 11th Doctors, and Thors as thousands gathered en masse for Kansas City’s Planet Comicon. The show also featured several famous cosplayers and more than 50 creators, which included Ant Lucia, who designed the DC comic “bombshell” covers, Todd Aaron Smith, who animated “Batman: The Animated Series,” and Jai Nitz, who co-created “Dream Thief.” There were also more than 150 exhibitors selling comic-themed items ranging from comic books to action figures to custom built light sabers. The first day of the con, Friday, was a culture shock day. Technically, I was working for the Warrensburg Hastings so I had some responsibilities at the booth but in between we were able to go on “walk-abouts” to explore Planet Comicon and see what kind of goods other exhibitors were selling and take in the experience being there. Seeing all of the nerds was kind of shocking, but in a good way. My room is emblazoned in Harley Quinn, Jack Skellington and Drizzt Do’Urden so it was refreshing to see the culture embraced by so many people. Ray Boggs, a Hastings employee, said he “felt like he could actually be himself” while we were walking around. 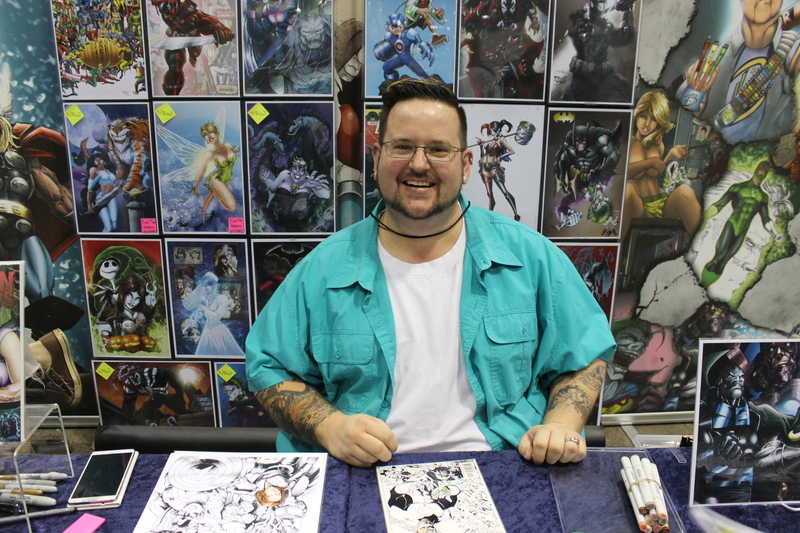 Artist Nathan Szerdy weighed in on the overall feel of Planet Comicon 2015 via email. The big thing at cons like these is the cosplayers. We saw so many people in a wide variety of elaborate costumes and every one of them would stop to take pictures with anyone who asked. We saw probably 30 variations of Harley Quinn, more than 15 Jokers, a handful of Wolverines and of course people wearing an 11th Doctor hat and scarf. One cosplayer in a wheelchair was Luke Skywalker in the X-Wing Fighter from Star Wars. There was even a group of women dressed as various Marvel characters to promote their online comic shop. Saturday was a busy day, with celebrity guests such as Ming-Na Wen of ABC’s “Agents of S.H.I.E.L.D.” and Laura Vandervoort of the CW’s “Smallville” making their first appearances of Planet Comicon. It was a busier day at the Hastings booth, and there seemed to be thousands of people shuffling through Bartle Hall. Sunday was no exception, as Stephen Amell was only able to make it one day. When I arrived at the venue, there was a line outside for the line inside to meet and greet with Oliver Queen himself. Another noticeable thing about the show is that it seems well balanced between the celebrities, artists and exhibitors. Despite the fame of the celebrity guests, there wasn’t a stream of announcements directing people to head there. The traffic was constant in the “Artists Alley” area where artists offered prints, custom work on sketch variant comics and other services. Illustrator Jeff Balke echoed the thoughts on how laid back the con is compared to others. 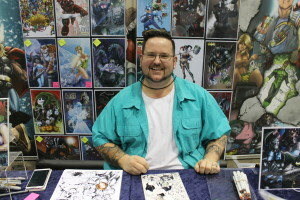 (Photo by Andy Lyons) Illustrator Jeff Balke at his booth during Planet Comicon 2015. One of the things that made Planet Comicon special was the interaction. While I wasn’t able to stand in line and talk to the celebrity guests, Boggs mentioned how cool it was to talk with Scott Wilson and mentioned that the actor thanked him for his military service when he noticed Boggs’ dog tags. Throughout the weekend, multiple exhibitors and artists mentioned Planet Comicon keeps getting bigger, and not in a bad way. Balke said he likes the feel of the show because it’s busy, but not “crazy town like (San Diego Comic-Con).” He also said he’s been to the show for three years and it has grown steadily each year. The ability to interact with artists such as Lucia and having them spend the time talking to fans of their art and find out what it means to each fan is really special. Harley Quinn has been one of my favorite characters for a long time, and the “bombshell” series was an entirely new approach to the entirety of the DC characters. Lucia said World War II pop culture and the artwork used for advertising on war bonds gave him part of the ideas he used when designing the DC bombshells so it was cool to talk to the guy behind many of the memorabilia I have in my room and find out his motivations in creating them. 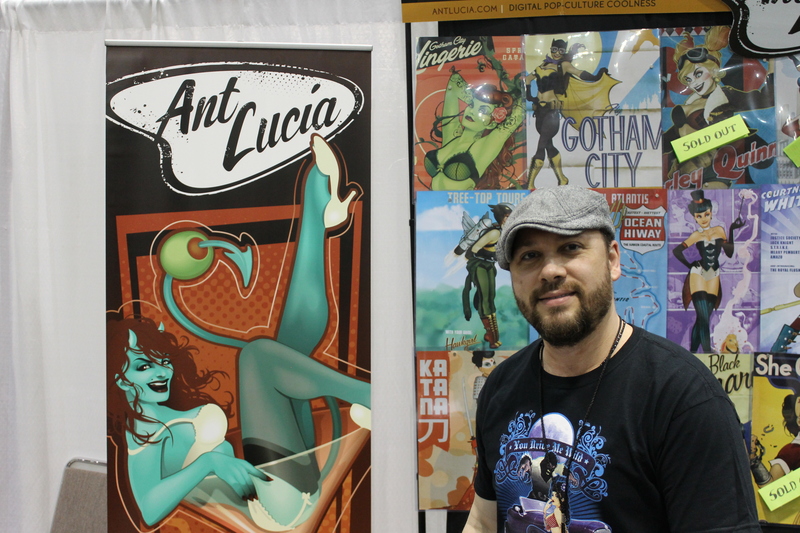 (Photo by Andy Lyons) Artist Ant Lucia at his booth during Planet Comicon 2015. Balke mentioned one fan who had wanted to meet him for years who was finally able to at Planet Comicon. “There was a girl who follows me on Facebook and Twitter who’s wanted to meet me for some time now, according to her mom,” Balke said. “Saturday, she got to meet me, and she was so shy, she was red the entire time she was at my table. Her mom and I started talking and eventually she started talking here and there. After about 10 minutes and me giving her a print, because she really loved it, she almost started crying and I went around the table and gave her a huge hug!